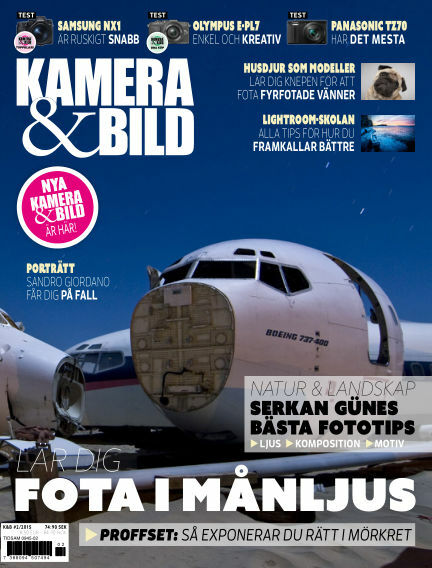 In this issue of Kamera & Bild : Tester: Samsung NX1, Olympus E-PL7 och Panasonic TZ70. Artiklar: Serkan Günes, Sandra Giordano, Troy Paiva fotar i månskenet, Julia Ekman har fotat i kåkstäder i Sydafrika. Skola: Lightroom - så fungerar modulen framkalla, fota husdjur med Josephine Norman. Och mycket, mycket mer! With Readly you can read Kamera & Bild (issue 2015-02-03) and thousands of other magazines on your tablet and smartphone. Get access to all with just one subscription. New releases and back issues – all included.